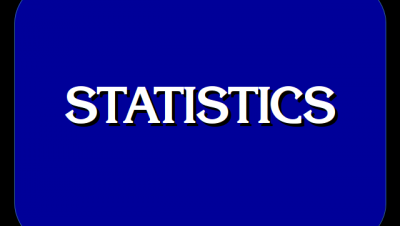 Back in 2004, I tracked Ken Jennings’ statistics daily and updated a toteboard. 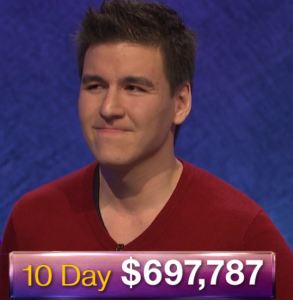 With James Holzhauer dominating his Jeopardy! games in ways unseen in years, I’ve decided to track James’ daily statistics in many of the same categories, alongside Ken’s statistics at the same point in his streak from 2004. Links are also provided to help define any statistics that may not be readily familiar or intuitive to the casual viewer. 1 Comment on "A James Holzhauer vs. Ken Jennings Statistical Comparison"
Can I recommend linking or explaining “unforced errors”? I managed to find an explanation on the Ken Jennings page but I imagine I’m not going to be the only person with that question.